Almaty (Agenzia Fides) - "It is not news that our world is increasingly linked to communication. For many people, living means being connected. An approach that certainly has limits and negative aspects. However, we must not forget the enormous potential of communication. 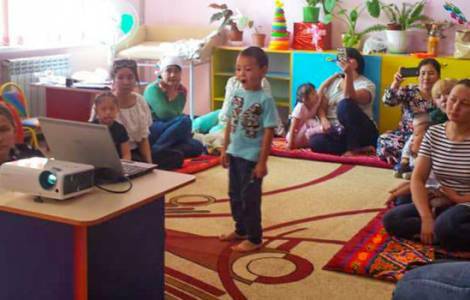 For this reason, we are trying in different ways to improve the communication aspect of Caritas Almaty, both within the Caritas network - especially in collaboration with the office in Singapore - and in the rest of the world". This is what is stated in a note sent to Agenzia Fides by the Caritas of the diocese of Almaty, the second largest city in Kazakhstan. The document underlines that "the effort to improve is not an end in itself, but is driven by the desire to make technological tools increasingly useful for sharing content regarding our activities. We realize, in fact, that in today's world, tools end up becoming the center of attention and aspirations of people of all ages". The reflection on the healthy use of new media is at the center of the Church's attention: this topic will be dedicated to the World Communications Day 2019, entitled "We are members of one another (Eph 4:25). From community to communities". In making this known, the Holy See statement notes that "the theme emphasizes the importance of reestablishing communication a broad perspective based on the person, and emphasizes the value of interaction, always intended as dialogue". ASIA/BANGLADESH - Cardinal D'Rozario: "The care of children is a pastoral priority"